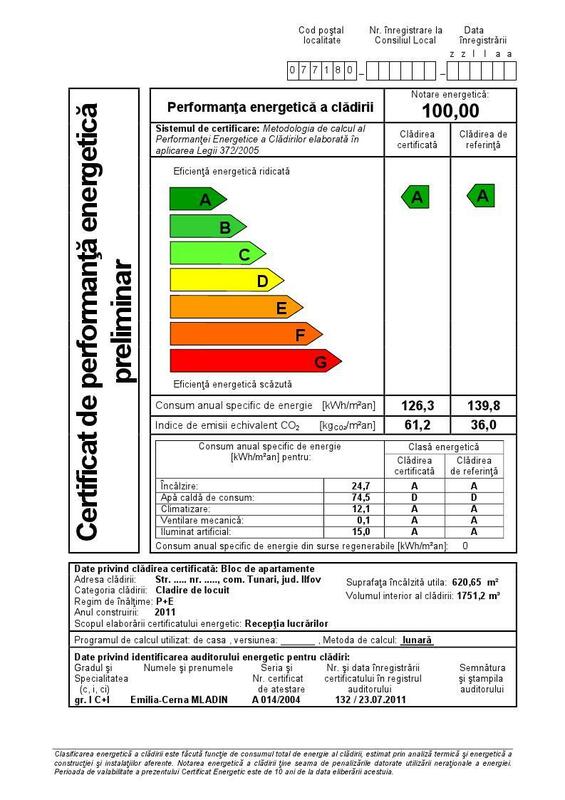 Liberty Technology Park Cluj received on the 4th of September the final BREEAM International certificate (Building Research Establishment’s Environmental Assessment Method). It’s the first BREEAM certificate for major refurbishments obtained by a building in Romania, proving thus the developer’s wish to create a project that uses all its resources to offer exceptional comfort and amenities to its residents. Moreover, the BREEAM assessment indicates the concern for capitalizing the industrial heritage, whilst contributing to Cluj-Napoca’s recent history and encouraging the development potential of the sites’ vicinities. The developer’s objectives were, in many ways, exactly the same as the BREEAM requirements. 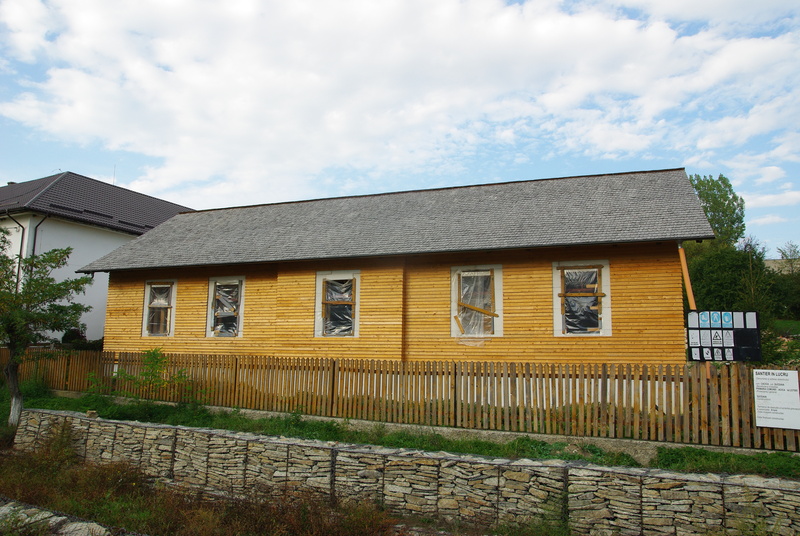 The industrial heritage that came along with buying the Libertatea furniture factory included 5 buildings. During the first stage of the development, delivered in December 2013, buildings B and C were refurbished. These offer a total of 5 600 sq m occupied by class A offices and a restaurant. At the moment developments for the second stage of the project are ongoing, revitalizing buildings D and E, offering a total of 13 412 sq m.
The developer’s initial intention was to keep and ingeniously use all the resources offered by the former factory, to recycle all that is to recycle, giving thus life to a new ecosystem, built on the remains of the former, without eradicating it completely and rather by putting to good use all that it has to offer. 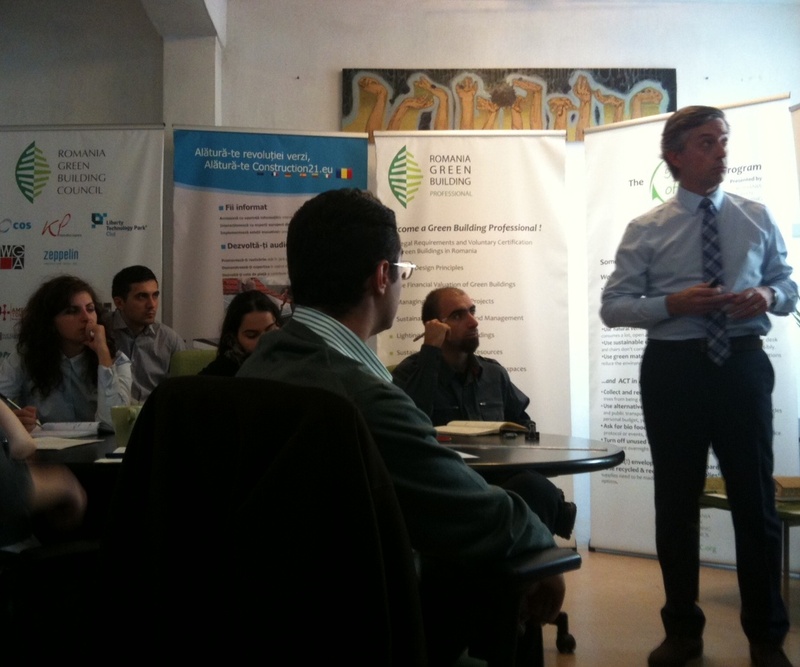 Romania Green Building Council had the honour to invite Carlo Battisti in Bucharest for teaching the course “Historical Renovations using Green Principles”. Carlo Battisti has 20 years of experience in several Italian construction firms performing multiple roles. He has worked for Habitech, Distretto Tecnologico Trentino (Italy) – the founding member of Green Building Council Italy – as Program Manager of the Business Unit on Sustainable Materials and Construction Products. He launched the web site ‘green map’; the first Italian on-line database of LEED compliant products. The workshop provided an overview and case studies about historic building, about main problems and opportunities in sustainable renovation of historic building, a new rating system for historic building sustainable refurbishment assessment and others interesting subjects related to historical renovations. 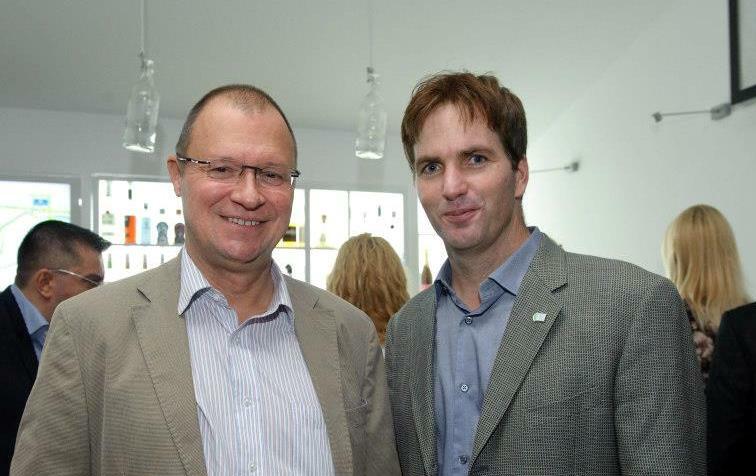 I wanted to extend a welcome to our recent addition to the Romania Green Building Council team, Mr. Paul Lannoye. Paul will serve as our Director of Projects and joining Mr. Dragos Riti as co-Director of our ecoBiblioteca project. Paul is a highly experienced real estate and construction professional with significant experience in Romania and on exemplary projects. His participation “in house” at the RoGBC will provide us some needed resource hours as we make the final construction push for ecoBiblioteca. Paul can be reached at Paul.Lannoye@RoGBC.org and +40720 449 139. In the last meeting that took place in late February at RoGBC headquarters, it was establish what needs to be done to finalize the MEP project for the ecoBiblioteca project according to the new changes in the RoGBC design team. As you know from previous posts, the ecoBiblioteca project will implement, for the first time in Romania (and in Europe) the Living Building Challenge ecological certification, which is the most accurate system for ecological building certification existing in the world. To be eligible for certification, Living Building Challenge requires that the building should be, between others prerequisites, a zero energy building – that means a very high performance envelope of the building and most energy efficient MEP systems and equipments. – the heating generation design system will be provided by VITASTAL, using a heating pump with borehole soil to water collection. Also, Vitastal will provide expertise in Net Zero Energy prerogative requested by Living Building Challenge certification. – the distribution of the heating agent and the ventilation ducts will be provided by Thermaflex with duct that respect Living Building Challenge material prerogative. – The heating system will be with CLINA radiant surfaces at low temperatures (max 30 C) through the ceiling. The design, consultancy and material would be provided by PROMAX Engineering – CLINA Romanian representatives. – The lighting system design by B-lighting and the fixtures are be provided by our partners OSRAM. The coordination of mechanical and electrical installation, as well as the implementation on site would be provided by our recent member DAS ENGINEERING GRUP, through its representative dipl eng Alexandra Stoica. Do you want to certify a green building project and don’t know how? Do you want to become a BREEAM or LEED assessor? RoGBC just prepared for you a brief presentation about LEED (Leadership in Energy and Environmental Design) and BREEAM (Building Research Establishment’s Environmental Assessment Method). This LEED information package summarizes what LEED is, measures and delivers, which the rating systems are, the steps to achieving certification and also how to become a LEED professional. This BREEAM information package tells you about what BREEAM provides, its objectives, types of projects and buildings that can be assessed using BREEAM. You can also find out the main things regarding BREEAM certification and how to become a BREEAM assessor. Dear RoGBC members and friends, We are pleased to announce that the RoGBC office renovation project will be broadcasted on Realitatea TV television this Saturday, 9.00-10.00 pm (21:00-22:00), on Realitatea Tv. You will also find it automatically archived here http://www.realitatea.net/emisiuni/reporteriirealitatii.html starting Saturday 10.00 pm (22:00). We would like to thank all project partners once again for their collaboration in developing this project, and we hope you will enjoy the show! Cities and local authorities worldwide have something in common: they have to become so called “Smart cities”. The intensifying trend of urbanisation forces cities to upgrade their existing infrastructure and to completely develop new forms of infrastructure. Therefore city planers, architects, technical experts and decision makers need smart and practicable solutions that are resource efficient, secure, low in emissions and reliable at the same time. Future infrastructural systems have to be intelligent, autonomously and interlinked to insure the provision of rapidly growing urban populations alongside a high quality of life. Applications can be submitted online from the 21st of January 2013 until the 22nd of February in 2013. The voting phase starts at the 25th of February until the 13th of March of 2013. Read more about the Contest and the rules at Construction21.eu . The winners will be awarded to present their Best Practice Solutions at the Metropolitan Solutions Fair in Hannover (8 – 12 April 2013). Metropolitan Solutions has developed as platform for applications and solutions for cities and megacities, and has grown significantly since its launch in 2011. In April 2012, more than 70 exhibitors showcased their offers on 3,000 square meters. Beginning in 2013 the trade show has more space in Hall 1 and an innovative concept of immersion in the “city of the future”. Instead of the usual exhibition passageways, for example, visitors walk along streets lit with streetlamps. Panoramic wall images display forward-looking products and urban development solutions. Visitors are brought to Hall 1 in electric cars. Ozone Homes, member of the RoGBC obtained a high score certification of energy performance with Avalone Residence. Avalon Residence is an ensemble of three residential ecological buildings. 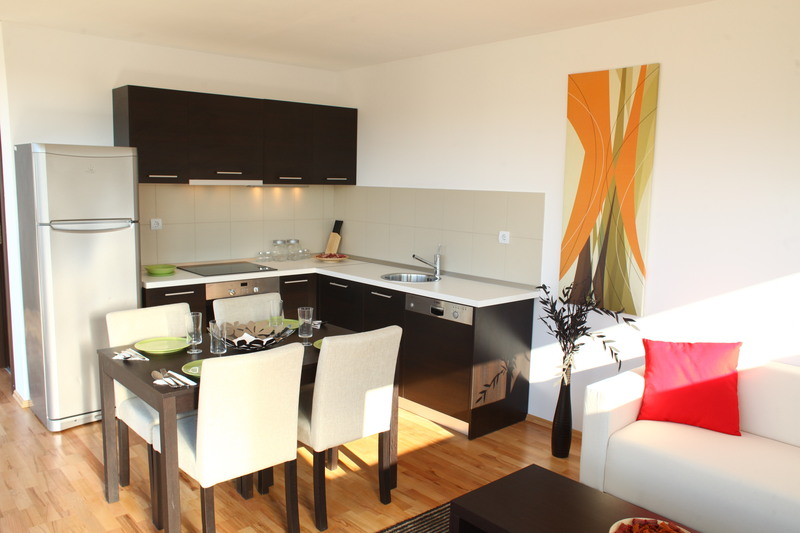 The residential development is built in Pipera Tunari, only 10 minutes away from Baneasa Shopping City complex, closet Henri Coanda Airport and the Pipera neighborhood. The Avalon is in close proximity to all amenities for a comfortable lifestyle: supermarkets, shops, kindergarten and schools. Avalon is a low-rise development built on only two levels(P+1) in keeping with our lifestyle concept of green space and not overcrowding the development, totaling 38 apartments with two and three rooms (1&2 Bedroom apartments). Every apartment includes a fully equipped Kitchen and Bathroom, Built-in wardrobes, 1 or 2 parking spaces and the ground floor apartments come with private gardens. All utilities are completed within a community: access roads, paved walkways as well as all residents have a communal pool, garden, playground for children and leisure facilities (barbecue) and miniature golf. Get ready with your green building and sustainable company submissions! Romania Green Building Council is partnering again with Europa Property to present the “Romania Green Building Council Awards“. Eligible building projects must have been completed or implemented by December 31, 2010. Persons and companies can nominate themselves or others and do not have to be members of the Romania Green Building Council, but must adhere to the submission criteria. Download and read carefully the submission criteria here. Download the correct nomination form from below. Follow the instructions in the submission criteria to submit your form by May 10th, 6pm. Shortlisted candidates will be invited as guests of the RoGBC to attend EuropaProperty’s South Eastern European Awards where the Green Building award winners will be announced. The Romania Green Building Council (RoGBC) along with WWF Danube-Carpathian Romania, United Nations Development Program (UNDP) and the Association of Energy Auditors for Buildings (AAEC) signed a shared position paper, regarding the measures that should be taken in order to encourage energy efficiency. The document, entitled “Romania and Climate Change Policies – Economic Stimulus from a Green Economy”, draws the attention on the economic opportunities associated with the implementation of environment policies, especially in the construction field. Some of the opportunities highlighted are the reducing energy costs, ensuring energy safety, raising comfort and creating new jobs. In addition, the position paper underlines the necessity of immediate action in order to move towards a greener economy and explains that the practical measures to be applied do not represent budgetary costs, but investments towards a sustainable development. . The position paper is available for reading here.